Since the earliest cave dwellers, people have adorned themselves with jewellery crafted from colourful gemstones and precious metals, and the jewellery business is bigger today that it has ever been. Some wear jewellery for status, others simply for decoration, while some believe that their gemstones carry healing powers, balancing their chakras and aligning their energies. 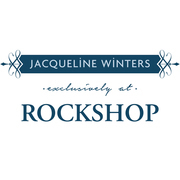 Whatever your inspiration, at RockShop Ambleside, we make gemstone jewellery more affordable, with a huge range of styles and stones to choose from, including exclusive designs from therapeutic artist, Jacqueline Winters. 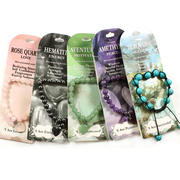 Within our extensive range, you can choose the gemstone that means the most to you, from birthstones to moonstones, and you can even pick a kit and make your own jewellery, with Pipkits to make friendship bracelets and gifts for your family and friends. 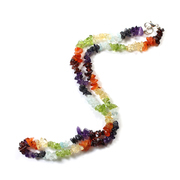 Alternatively, at the RockShop you can tap in to the deeper meaning of gemstones, with our wide selection of Chakra bracelets and necklaces, or explore the imagery of the Tree of Life, a sacred symbol that dates back thousands of years. Colour or karma, beauty or therapy, whatever you want from your gemstone jewellery, you’ll find something for you at RockShop. Order online or bring the kids for a day of discovery.